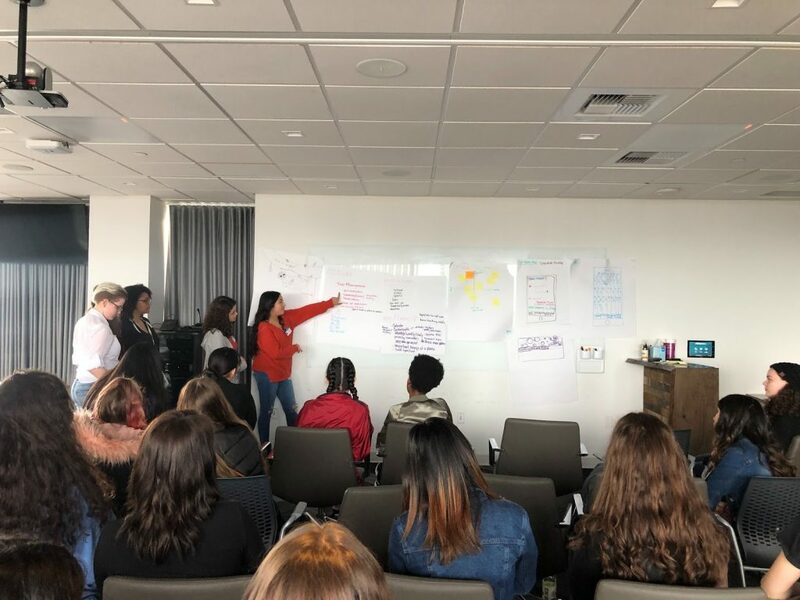 On March 14, 2019 26 female/non-binary students from Spanaway Lake High School were inspired by a trip to Zillow! 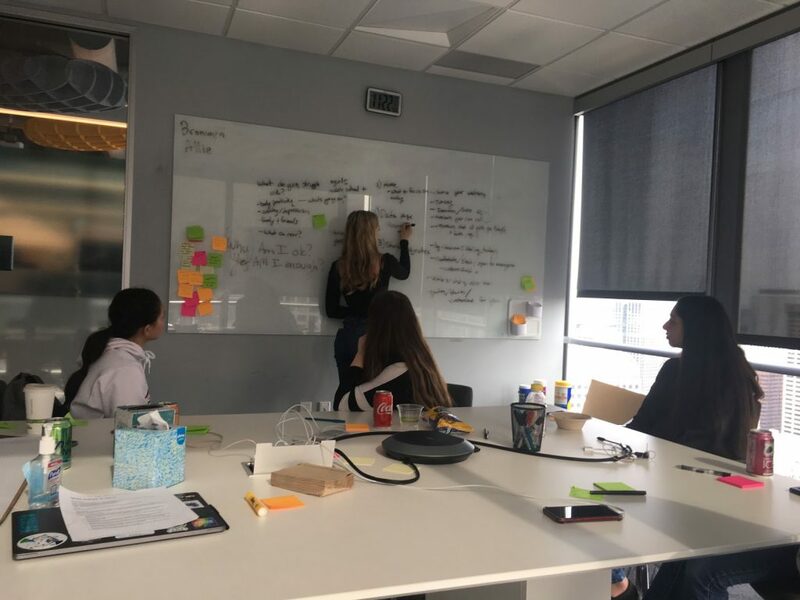 All of the students loved the experience and the work environment at Zillow. The day started off with an office tour by our amazing host Makena Barickman (#besthostever). The students were amazed by the view from the office as well as the creator space, and the music room. As amazing as all of those spaces were, audible gasps were heard as the students saw the wall of candy! 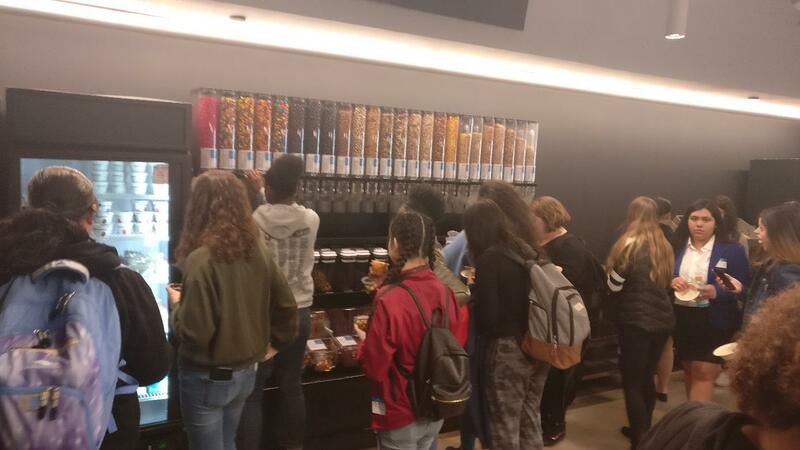 They all grabbed snacks and drinks before splitting into teams to do the breakout activity. 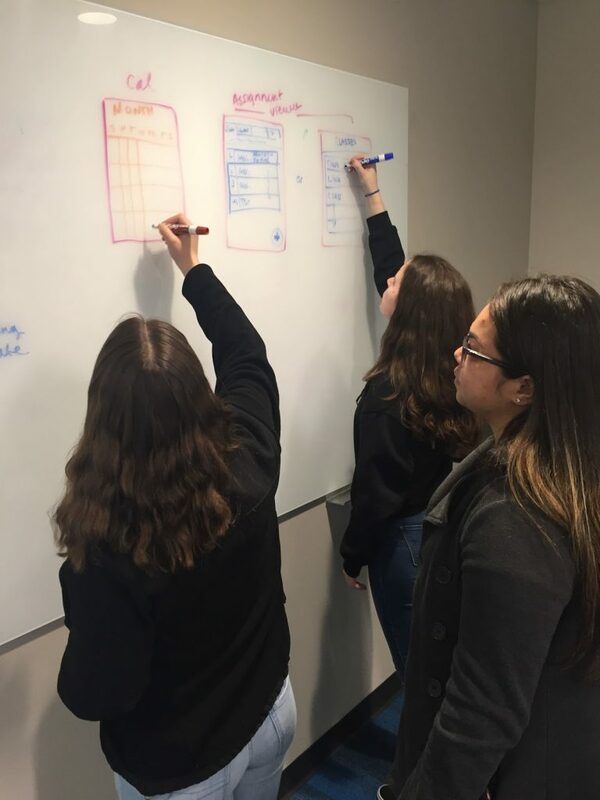 Treats in hand, they headed to Zillow conference rooms in teams of 6 to be lead through designing a new app. The students absolutely loved this creative endeavor! 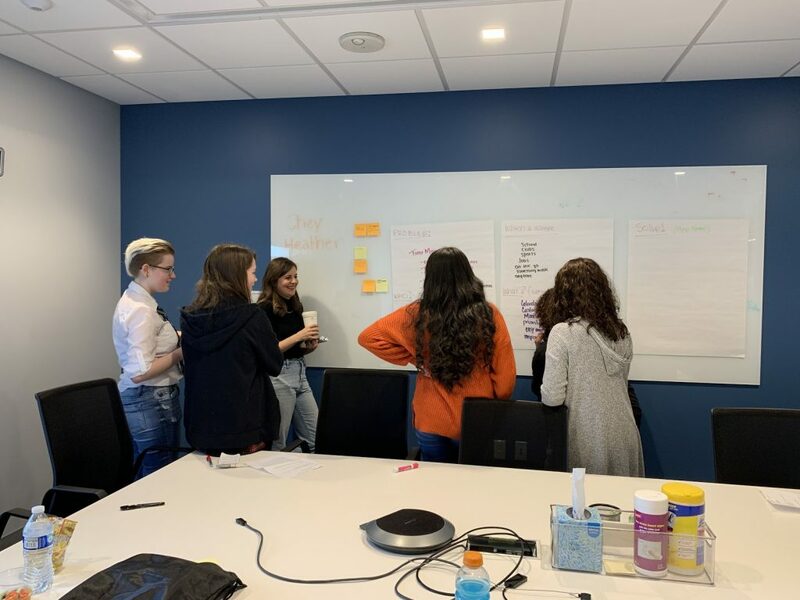 Each team had two Zillow mentors who guided them through the process of identifying a great app idea, mapping out the components of the app and presenting their concept back to the entire group. 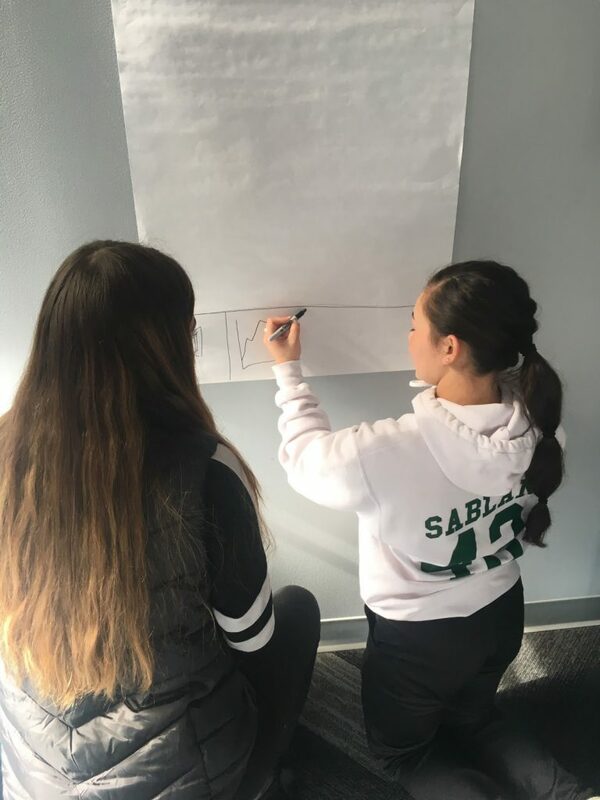 After presenting their mobile application idas, the students dove into all the pizza (#Zillowunderstandsteens) and salad. 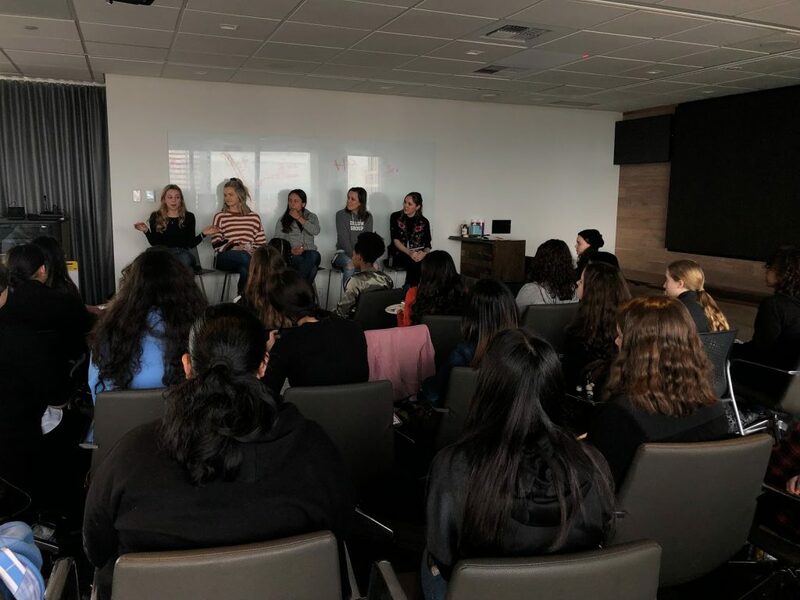 While they enjoyed lunch, they heard from a panel of the truly inspiring Zillow mentors who shared their personal stories and answered student questions. By the end of this day, which went by way to fast, all of the students were uplifted and encouraged to be true to themselves and follow their hearts. 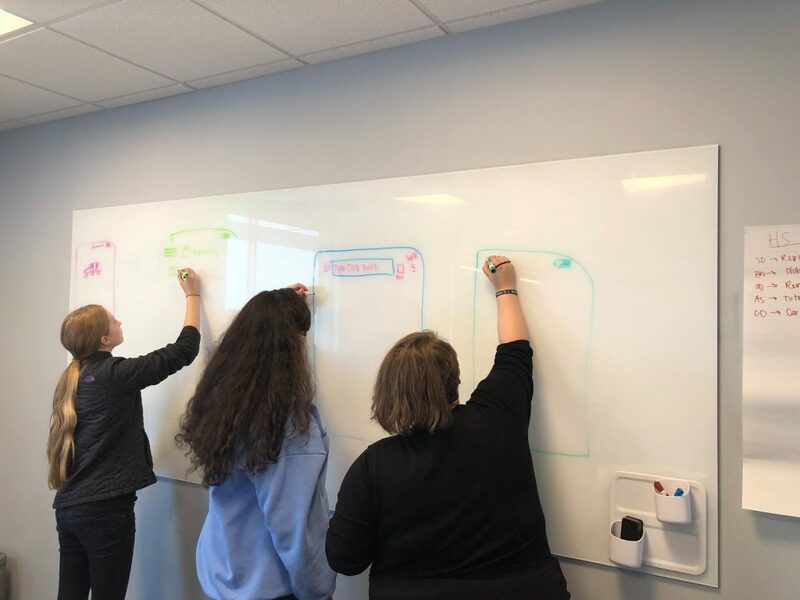 Thank you to the team at Zillow for organizing this wonderful day of learning and fun! 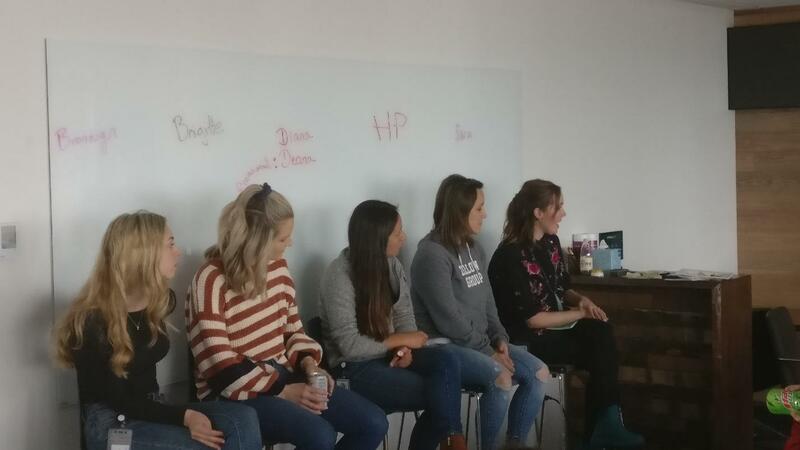 "The Panel background stories were really fun and gave me some perspective on what goes into getting into Zillow and the tech world. Makes me feel better about going into college and getting this kind of job." "The highlights of today for me is how we got to make an app, and think of how it can help other people. This event inspired me by making me think of what I really want to do in the future." "When I met the ladies that work here. This has inspired me to be more confident even in a male dominated job." "I enjoyed the panel with questions. 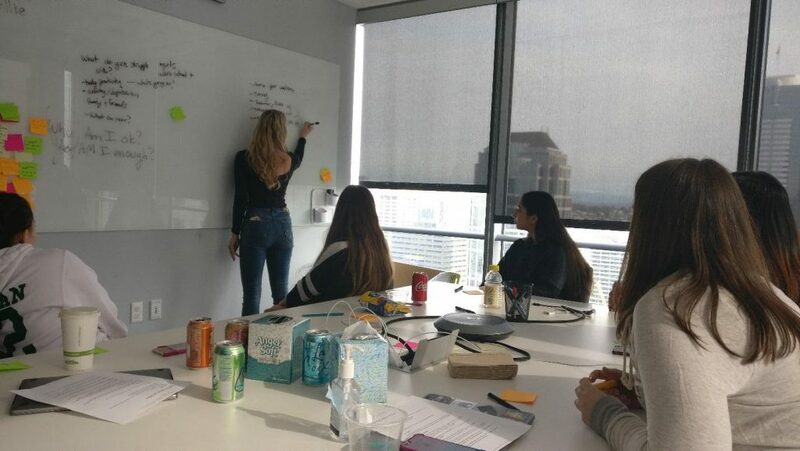 I really liked hearing women's stories and getting a peek into their engineering process, and their daily work." "Today's event inspired me to not be set in life with my career path, but to be adventurous and that it *is* possible to do something I like/love. I enjoyed the outside box thinking (brainstorming)." "Learning about the women talking on how they got here, what they do, being a part of a team creating an app. I usually think I'm not creative so being part of a team helped me get involved even by just a little bit." "I liked the making an app because it makes me think and get out my comfort zone. It inspired me because it makes me want to help make changes." "I liked talking to people who work here and I can get more of an inside of what it is like to work here and what kind of jobs there are." "Everyone was super nice and friendly, relatable, funny. Each of them had interesting stories and relatable and inspiring." 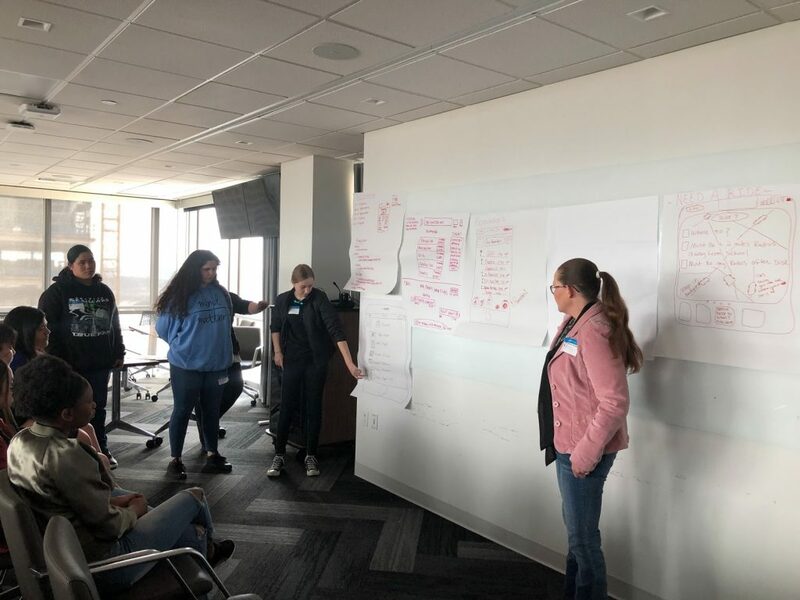 "Making an app really inspired me, because I was shocked that I could create an app and it gave me ideas for job options." 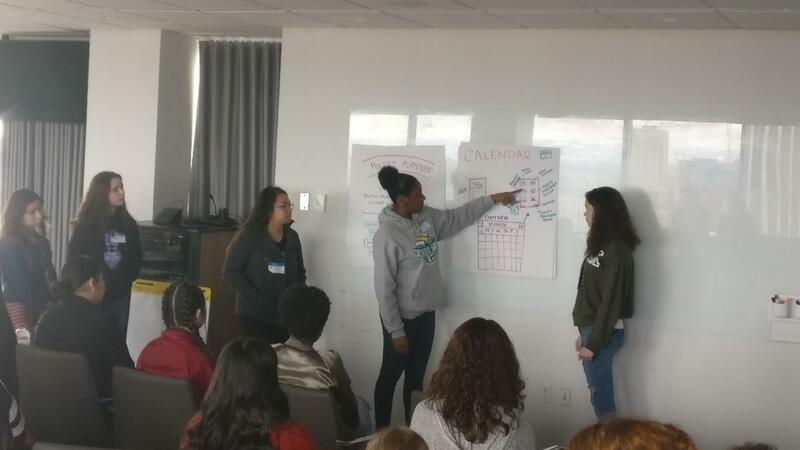 "I enjoyed making the app with my group and it has inspired me because I learned that being a female in tech you have to work your way up."